What is Adderall? Can You Overdose? Adderall belongs to a class of drugs known as amphetamines, which exert their effect by stimulating the central nervous system and are often used to treat narcolepsy or ADHD. According to the federal Food and Drug Administration (FDA), individual patients' responses to amphetamines may be very different, and some people may experience toxic symptoms even at low doses. Amphetamines work by increasing the presence of certain neurotransmitters in the brain, including norepinephrine and dopamine. Affect the brain's reward response. Get Help Today Find a treatment center to help you with your Adderall addiction. In rare cases, an overdose can be fatal. According to the FDA, convulsions or coma usually precede death in these cases. Overdose is most likely when Adderall is misused--when it's taken for non-medical purposes, or when users don't follow their doctor's instructions about taking the medication. Adderall abusers may take larger or more frequent doses of the drug than is safe for them, and this behavior can lead to an overdose. Adderall use is prevalent amongst college students, who take the drug to help them study. In general, illicit drug use is highest among people aged 18-25. In fact, some of the busiest hubs for Adderall abuse are college campuses, where many abusers take the pills to improve their concentration for studying. Research has shown that by the end of their college careers, nearly 2/3 of students report being offered a prescription stimulant and up to 1/3 of them report using one. Adderall's cardiovascular side effects may be exacerbated by alcohol. This is worth noting because some research has suggested that non-medical prescription stimulant use--which includes but is not limited to non-medical Adderall use--is also associated with alcohol and marijuana dependence. These interactions may be especially likely if the drug is used in the context of partying, a less common motivation than studying, but one that research has shown does occur. Research has shown mixed results in terms of whether gender or other demographic factors play a role in the likelihood of stimulant abuse. Because an Adderall overdose can be fatal, even if such cases are rare, it's important to contact medical professionals if you notice any signs of toxicity. If symptoms are relatively mild, your local Poison Control center can give you advice on what to do for a person who is experiencing amphetamine toxicity and may be contacted at 1-(800)-222-1222. In the case of a person who is experiencing respiratory or cardiovascular difficulty, having convulsions, or has lost consciousness, you should call 911 immediately and ask for emergency medical services. You should only take Adderall if you have been prescribed the drug by a medical doctor. You doctor will give you specific instructions, including dosage. Stick to the recommended dosage. Take Adderall as prescribed (i.e., orally). Taking higher or more frequent doses than your doctor recommends can increase your risk of an overdose. Taking Adderall through another route other than orall (e.g., snorting or injecting) can increase the risk of dependence and overdose. IV use of Adderall can also increase the risk of contracting blood borne pathogens such as HIV/AIDS and hepatitis viruses. Avoid mixing Adderall with other drugs, particularly other stimulants that might exaggerate the drug's effects. Mixing Adderall and alcohol can also increase the risk of toxicity, as alcohol can worsen Adderall's cardiovascular side effects. Overdose is the result of severe use patterns that eventually take a toll on the mind and body. If you suspect that you or someone you love might be going through a downward spiral of Adderall use, please don't hesitate to ask for help. A phone call may protect you from a life-threatening situation, like overdose. Please call our 24/7 hotline at 1-888-993-3112Who Answers? and choose recovery today. Since amphetamine toxicity may present with a variety of symptoms, different medical interventions may be required to address them all. In the case of a high fever, research into amphetamine toxicity emphasizes the importance of cooling the body first. A systematic literature review of studies on amphetamine toxicity referenced a number of different treatments for some symptoms of an overdose. Sedation is commonly required for victims of an amphetamine overdose. For help controlling agitation and psychosis, several studies supported the use of antipsychotic medications and benzodiazepines--a class of drugs commonly used to treat anxiety. For cardiovascular symptoms, such as high blood pressure or rapid heartbeat, several studies recommended beta blockers. These drugs help in blocking the activity of norepinephrine, one of the neurotransmitters affected by Adderall. Other research supported the use of alpha blockers and calcium channel blockers, which can also help with cardiovascular complications. 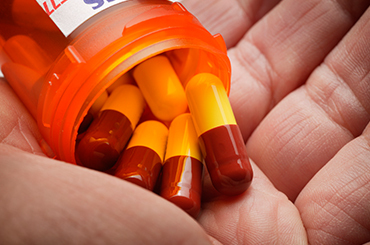 Physical recovery from Adderall toxicity may depend on the severity of the overdose. In the worst cases, overdose can induce some serious conditions that may require a prolonged treatment for complete recovery. Renal failure and stroke are two complications that may require a more strenuous physical rehabilitation process. During recovery from an overdose, particularly if the patient has been taking Adderall regularly for a long period, mood changes may occur. 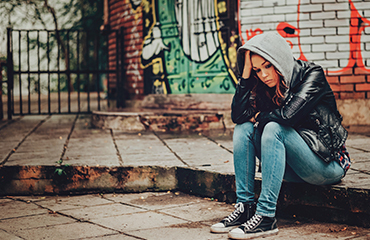 Feelings of depression, fatigue, anxiety, and paranoia are common symptoms that occur after an overdose and may persist for weeks. Patients may also have trouble sleeping. Psychosocial treatment or behavioral therapy may be useful for patients experiencing psychological issues while undergoing withdrawal. The severity of these symptoms may depend on how frequently the patient used Adderall prior to the overdose, with heavier users susceptible to more severe withdrawal symptoms. It's also worth noting that Adderall is commonly used as a "study drug" among college students. Students recovering from Adderall toxicity may wish to explore safer study techniques and better ways to concentrate with a doctor or a campus counselor. Recovering from an Adderall overdose can require specialized care on a continuum of levels. It is understandable that you may not have time to assess the best options for stabilizing yourself and achieving recovery. Treatment support specialists are available to help provide information about Adderall abuse treatment programs to suit your needs. Call today at 1-888-993-3112Who Answers?.